The combination of audience astonishment and authenticity can also be seen in HBO’s The Jinx: The Life and Deaths of Robert Durst, which is Jarecki’s newest crime documentary. However, The Jinx is somewhat unique in its sensationalism. It is not a film, but a mini-series that revolves around Robert Durst, a reclusive, real estate heir who has been accused and acquitted of dismembering his neighbour, Morris Black. This prompts an investigation into the 1982 disappearance of Robert’s wife, Kathie, as well as the execution of Robert’s best friend and confidant Susan Berman. The “coincidental” nature of these murders are shockingly built upon throughout the series, with there being no definitive proof that Robert has killed his wife and best friend, because of this, it seems as though the documentary will end on an ambiguous note until the sixth and final episode, “What the Hell Did I Do?” (1:6). This episode revolves around the filmmakers’ frustrating attempts to get Durst to meet them for a final interview, where they will present him with irrefutable evidence that he killed Susan Berman. After the interview (in which Durst is unable to defend himself), he goes to the bathroom and, seemingly unaware that his microphone is still recording, mutters to himself “There it is. You’re caught”, and goes onto say “What the hell did I do? Killed them all, of course.” For some, however, this narrative surprise was “ruined” as Robert Durst was arrested “just hours before the final episode was to be broadcast on HBO,” [4 ] and The New York Times revealed this before audiences were yet to view the last episode. The Jinx director Andrew Jarecki (left) and Robert Durst (right). Whilst this is accurate for documentary films, The Jinx is a documentary series, and therefore has more in common with the American television (docu)drama than classical Hollywood cinema. 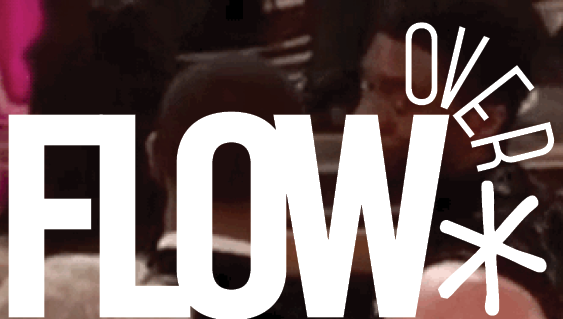 The documentary’s title sequence is particularly emblematic of its dramatic flair. Stylistically and atmospherically, the opening is strikingly similar to True Detective’s, which is significant as both can broadly be perceived as crime dramas, and the latter is one of the most critically acclaimed dramas of 2014. Yet it is not only The Jinx’s aesthetics that are illustrative of its (docu)dramatic features. Like other contemporary, American (docu)dramas, The Jinx is also a product of seriality, as its re-enactments and documentary material interweave throughout, opening and closing narrative strands so that the plot unravels episode-by-episode. The director himself has argued that: “We’re living in a binge watching universe where people are watching 10 episodes at a time of things […] Let’s abandon the idea that this has to be a feature length film.” [10 ] Andrew Jarecki is clearly aware of the demands of modern television, as the televisual landscape is saturated with dramas. Inevitably, this affects the viewer’s perception of what they see on-screen, and is particularly applicable to how we view spoilers. Interestingly, academics have viewed spoilers in a positive light. Paul Booth argues that “spoilers exist as communal hypotheses of future events, built through interactivity and centered on narrative exposition. Spoilers are also a way for fans to actively construct meaning in the extant media object, and to refute the dominant interpretation of the media text.” [11 ] Jonathan Bignell has also discussed the extratextual pleasures of spoilers in relation to J. J. Abrams’s Lost (2004-2010). [12 ] Yet these analyses situate fandom as central to paratexts. While there are documentaries about fandom, there are rarely fandoms dedicated to specific documentaries; unlike fictional film and television, documentaries are not typically associated with sustained, spectatorial fervour, rather, certain auteurs are revered (such as Werner Herzog, David Attenborough and Ken Burns). 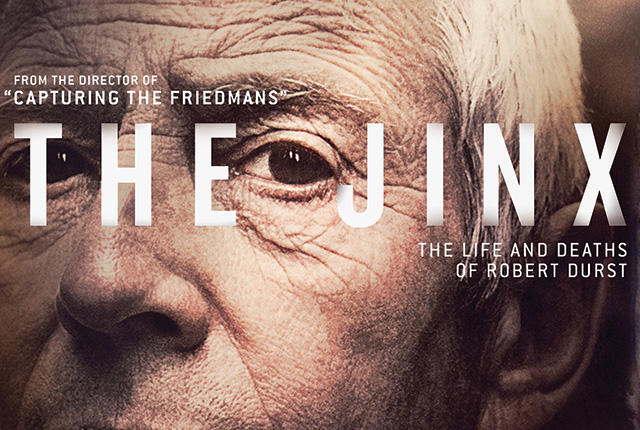 Despite this, The Jinx is “made for the binge watcher,” [13 ] which Robert Thompson believes is the optimal way to watch “new serialized, high-profile, high pedigree novelistic [shows] such as Breaking Bad, The Wire, Homeland, or Dexter.” [14 ] Here we can see a tension between The Jinx as a documentary and The Jinx as a quality drama – but this is precisely why there is such outrage over its spoilers. We can recapture fiction; we cannot recapture the unfolding of real life drama in documentaries, especially real life drama that requires multiple viewings in rapid succession. It is this hybridity that complexly and poetically distorts audience expectations. 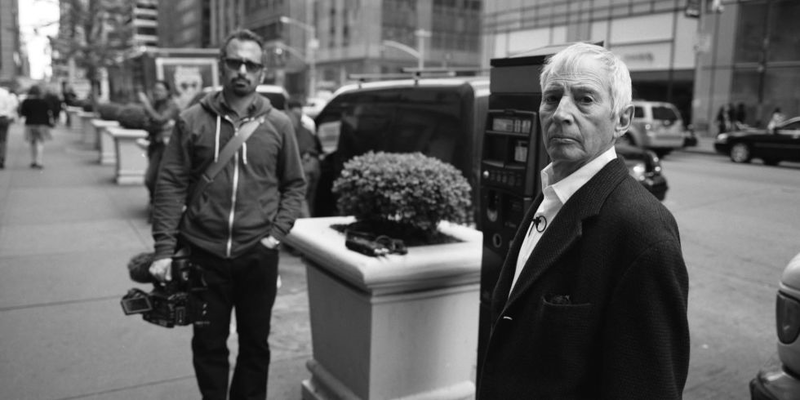 The final still of The Jinx dramatizes these expectations – it is powerful, cinematic, televisual, and ultimately ambiguous in what will happen to Robert. For most people, looking up his name on Google after watching the series would provide a sense of pleasure through closure, and most importantly, this pleasure would arise from finding out these details for themselves. Yet it remains difficult to discern whether audiences should expect documentaries to be spoiler free. After all, can life be spoiler free? Perhaps the answer is not so simple in a culture that reveres the binge-watching of high-end dramas.